These are designed for summer camp and retreat center staff where a good knowledge base already exists, but the frequency of programs is limited and staff just need to brush up on their skills. This is perfect for those organizations who have a staff that understands basic facilitation and desires the ability to improve on the basics while digging deeper with their clients through advanced facilitation techniques. This is where it starts. 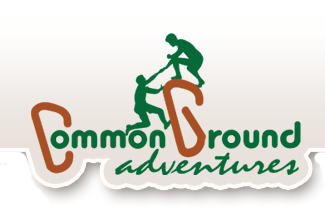 Training 101 is designed for people who have a very limited knowledge or no knowledge of Ropes Courses and need to learn the basics to be able to facilitate Low and High Challenge Course programs. These training sessions are between 3 and 6 days depending on the scope. As a tip of the hat to the pioneers of our industry this is our Classic Challenge course training with an emphasis on time-tested activities and facilitation techniques. Over several days, we deliver an in-depth training on these classics in regards to instructions, safety, and variations. Like all of our training sessions, it will end with a day for you to practice your new skills while being observed by our experienced facilitators. This will give you the opportunity to receive immediate feedback from our trainers. Are you ready to bring your staff to the next level of facilitation? Use the form on the right to contact us and schedule your training today!